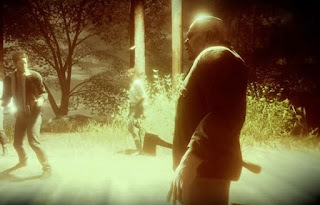 The undead serial killer Jason Voorhees is back and this time you can slip into his role in Friday the 13th: The Game and kill all the familiar faces you already know from the movie series of the same name. Each character is individual and has different abilities. What counselor would you flee from Jason? Currently, there are ten survivor characters in the game. Four of them are playable right from the start, while the other six can be unlocked by advancing through levels. Under the Counselors, there is something for everyone, so you can choose your favorite character. The values remain the same for leveling. But you can spice up and improve your teen with Perks. You must buy this again by spending your CP on it. Then you get a random perk. - Composure (Self control, calm, serenity): If this value is high, your character is very relaxed and Jason does not scare him so much. This means that the Counselor does not go out so quickly when he sees a corpse. - Luck: This attribute affects many things. The higher it is, the longer you hold weapons, you are less loud in executing actions, your stamina is increased slightly if you hit Jason or free yourself from his grip. The chance that you stumble will be lowered or that you will inflict high damage if you jump through a window and the Jason is stunned. Fortunate survivors also find better or more items on their quest. - Intelligence (Repair): If this attribute is high, then your Counselor can do a good job of repairing things, such as the power box, phone or the car, which will help you escape. - Speed: If you can run fast, you can escape Jason. The higher the value, the faster you are. - Stamina (Endurance, Condition): Stamina is always good with speed. But it also affects when you take other actions, such as Jason attack. - Stealth (Camouflage, Sly, Creep): To act quietly can become an important assets in the game. Just so you stay hidden from Jason. The higher this attribute is weighted, the quieter you are in your actions and can sneak well. - Strength: The stronger your character, the better he can defend himself against Jason. The higher the value is, the higher your damage will be. The chance is also higher, Jason longer to stun. As in real life, every character in the game is different. One is even stronger, while the other can run faster and another can very well repair things.